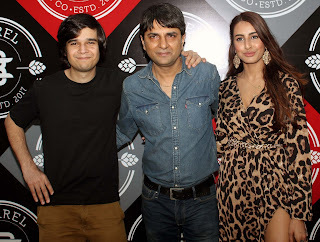 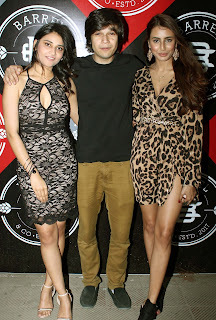 Vivan Shah, Priya Singh and Sophiya Singh came to launch first look of Ae Kaash Ke Hum..
Producers Kiran Talasila and Pankaj Thalor along with director Vishal Mishra organised the launch of first look of their Hindi film Ae Kaash Ke Hum.. at The Barrel in Andheri West. 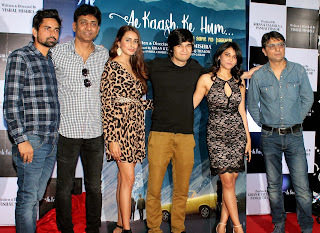 Vivan Shah, South Actress Priya Singh and Sophiya Singh ,Singer Aman Trikha came specially to launch the first look of their film. Vivan Shah, Priya Singh and Sophiya Singh shared their experience while shooting the film in Dharamshala, Himachal. The trailer will be launched in May.